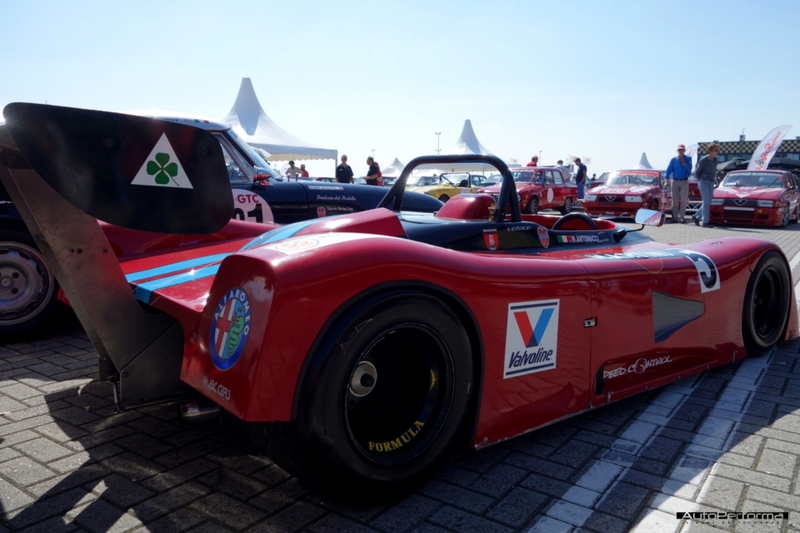 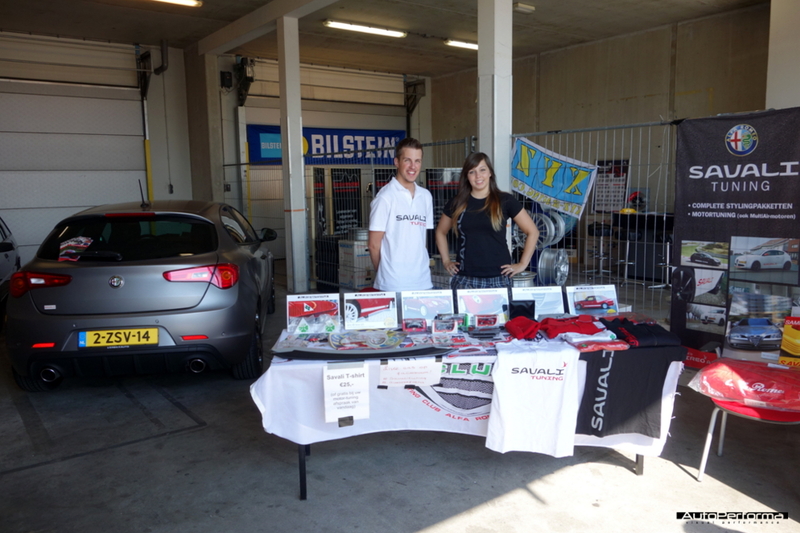 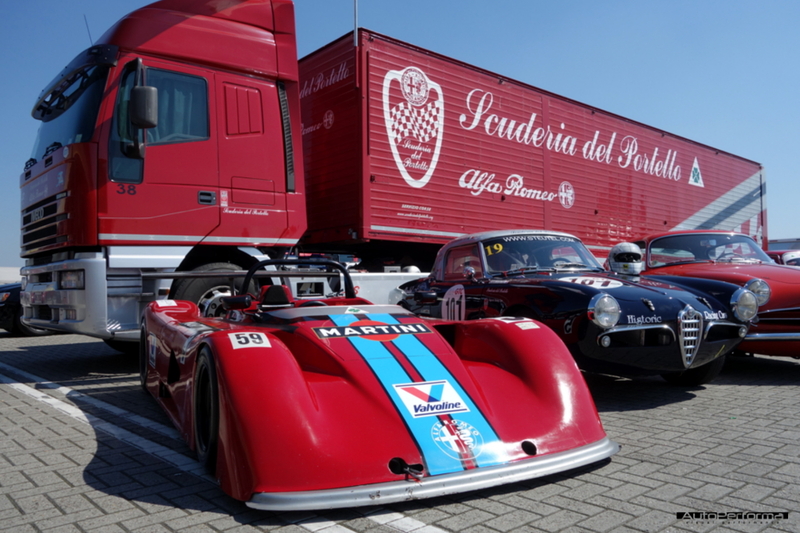 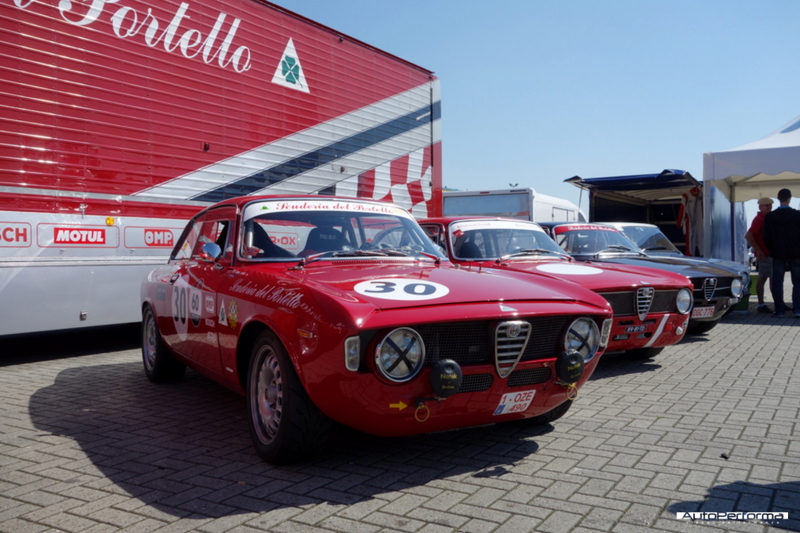 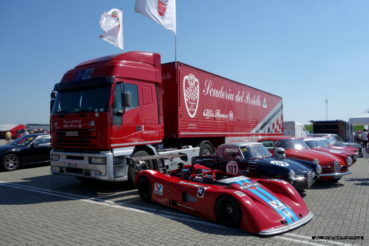 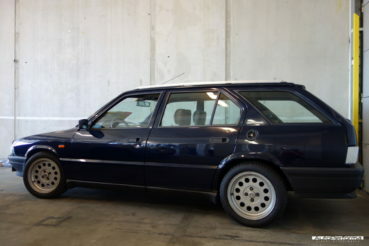 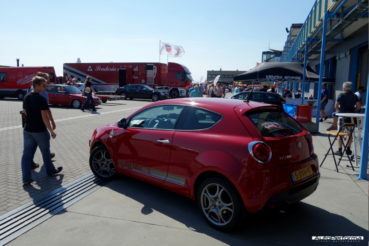 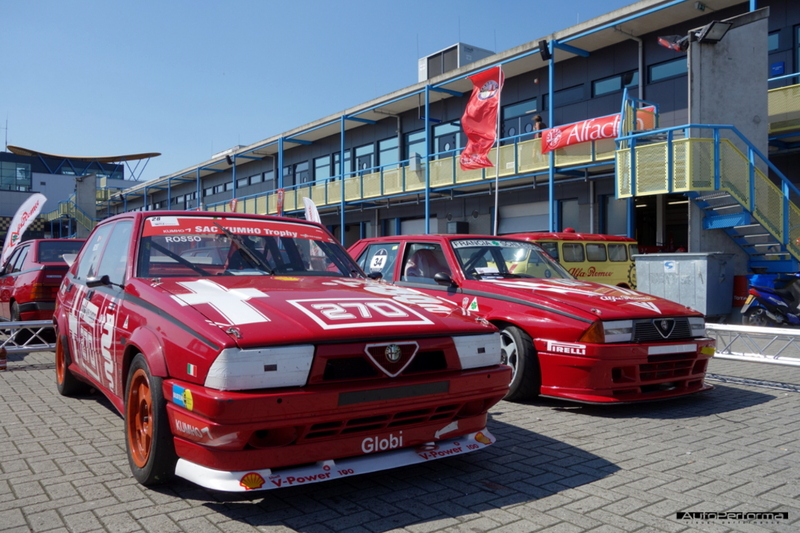 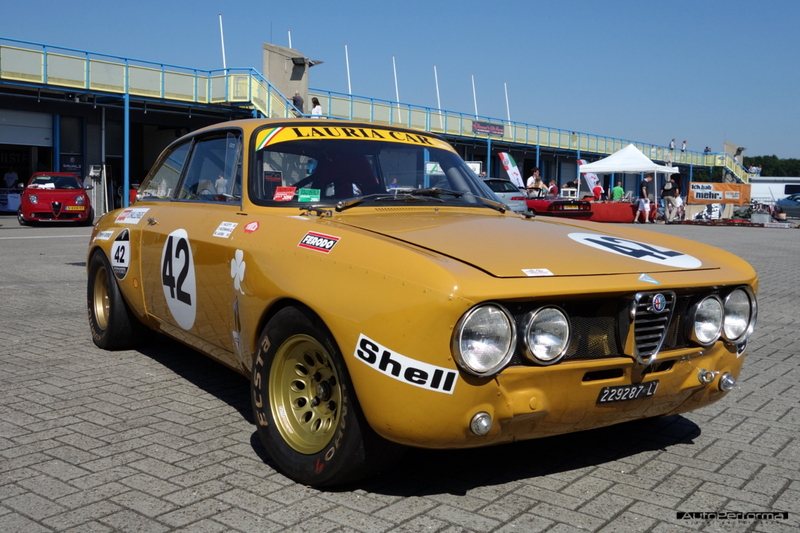 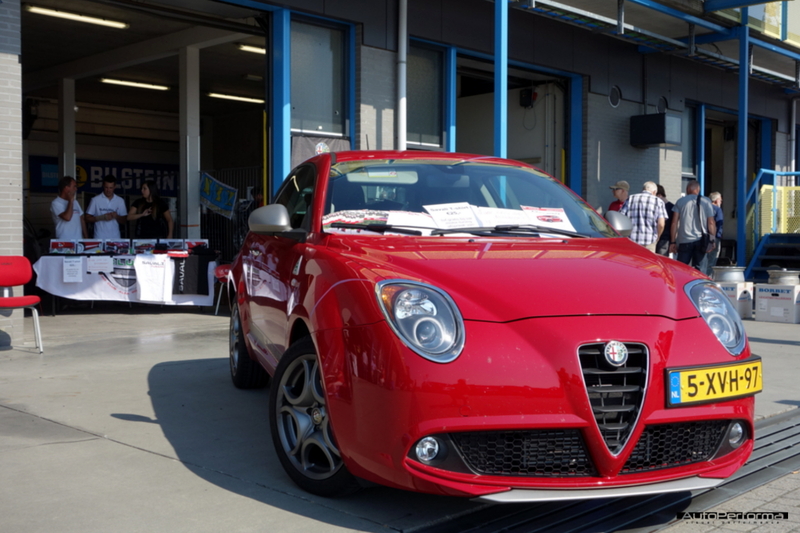 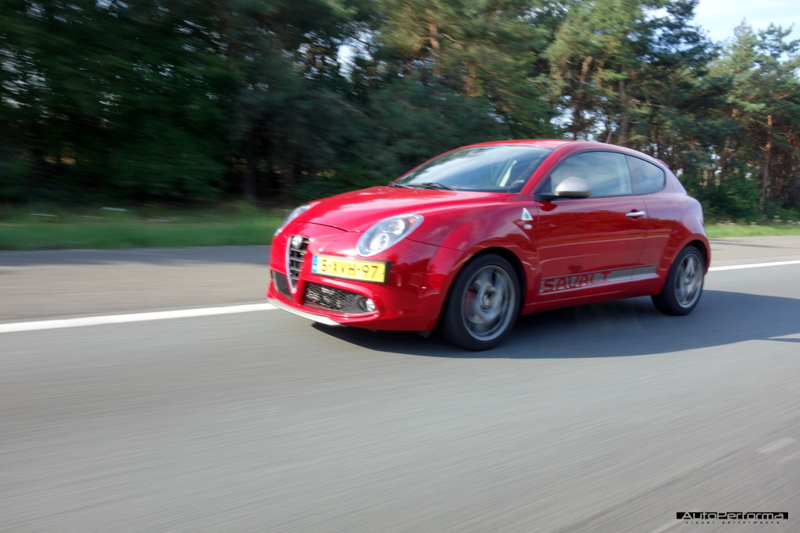 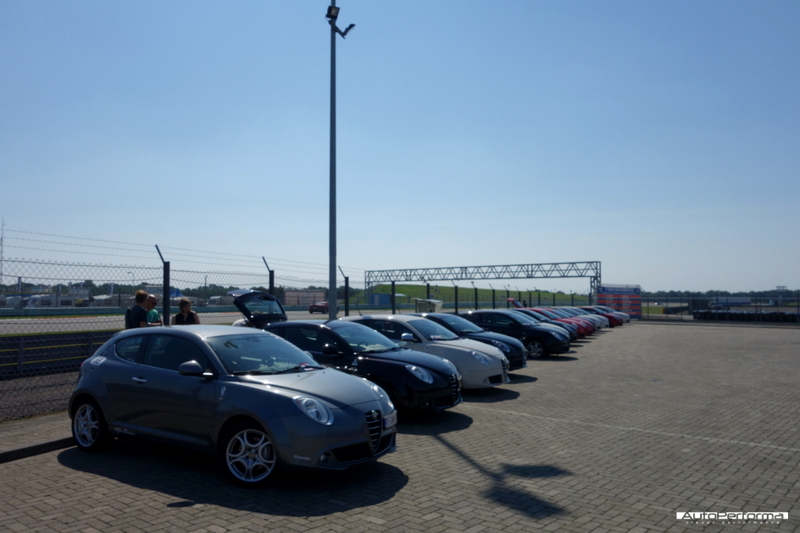 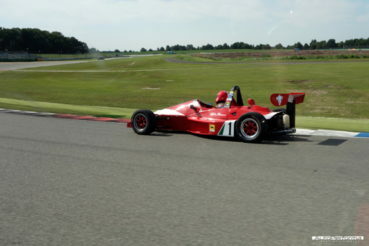 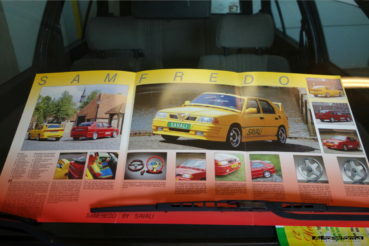 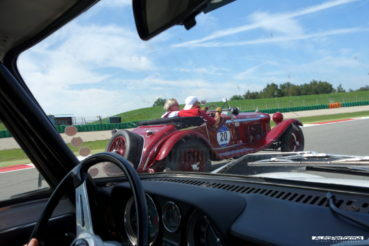 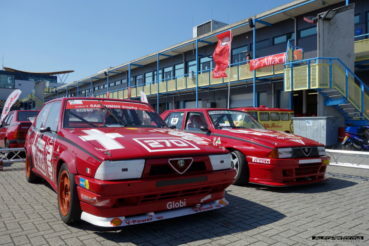 The 2015 edition of the Spettacolo Sportivo organised by the Dutch Alfa Romeo Owners Club SCARB was held on the TT circuit of Assen. 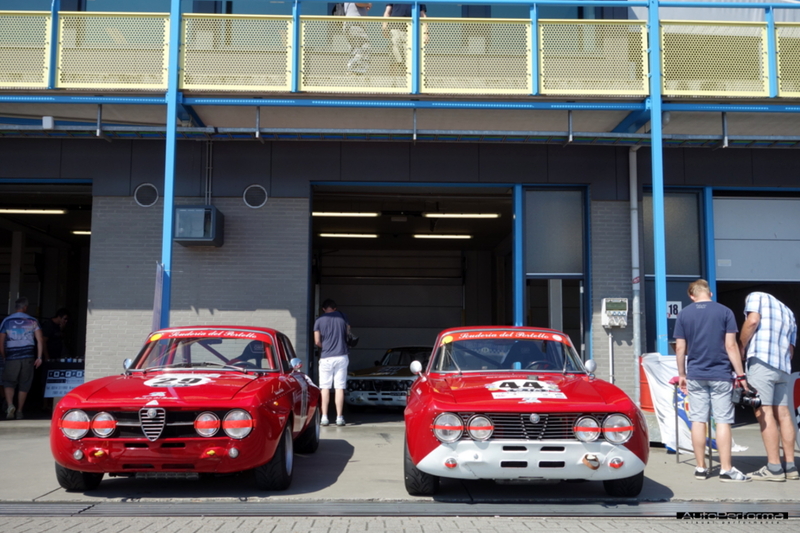 Together with Savali Tuning we represented modern time Alfa Romeo tuning, in the good company of some very nice "tuned" classic Alfa's. 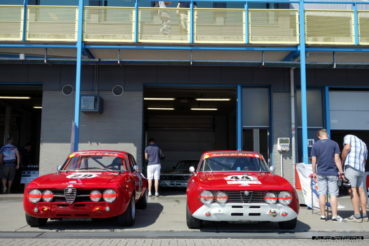 Historic Alfa Romeo racing team Scuderia del Portello brought two group A Alfa Romeo 75's to celebrate the 30th birthday of the breed, as well as some properly prepared GTAm's. 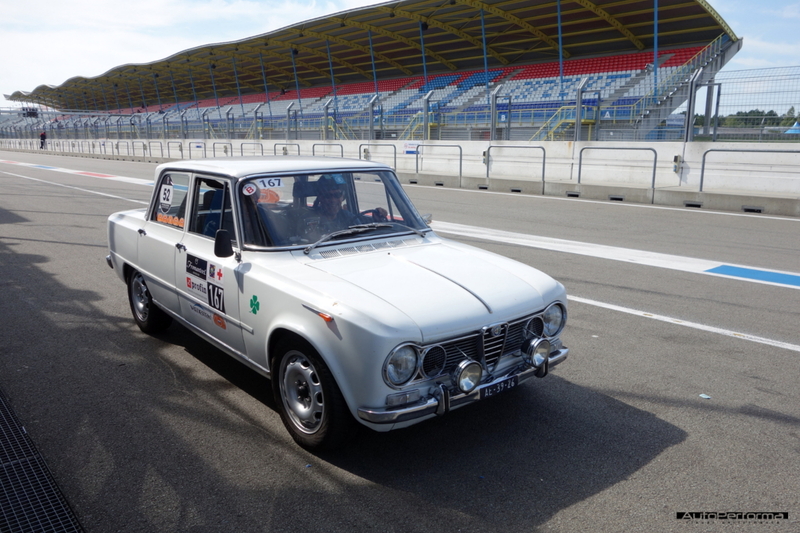 We had the pleasure to witness the action live on the track from a Giulia Super. 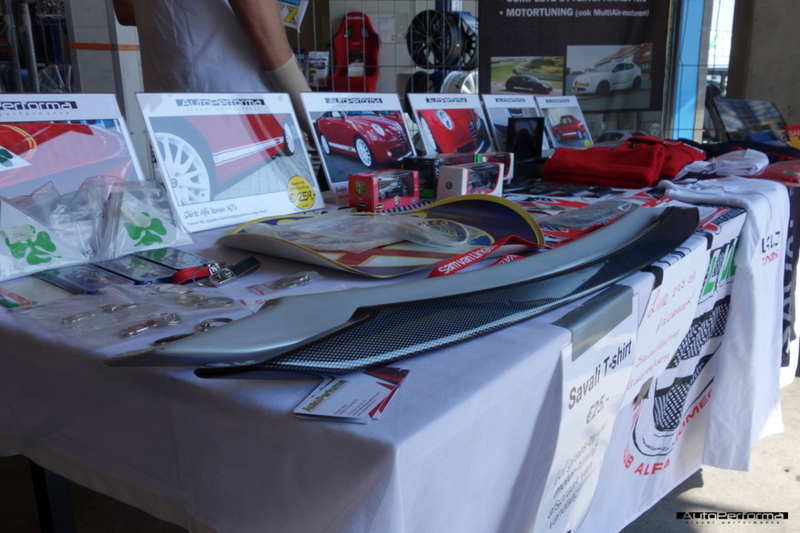 We would like to thank the weather gods for the lovely weather and everyone who came to visit us at our stand.